How to get your question answered? If you have a CAD-related question that has been troubling you, GrabCAD's questions feature can help you get your answers quicker with the power of millions of engineers. With millions of members across the world, the GrabCAD Community is bound to know the answer. Navigate to Questions section and use our search function to see if your question has been answered. 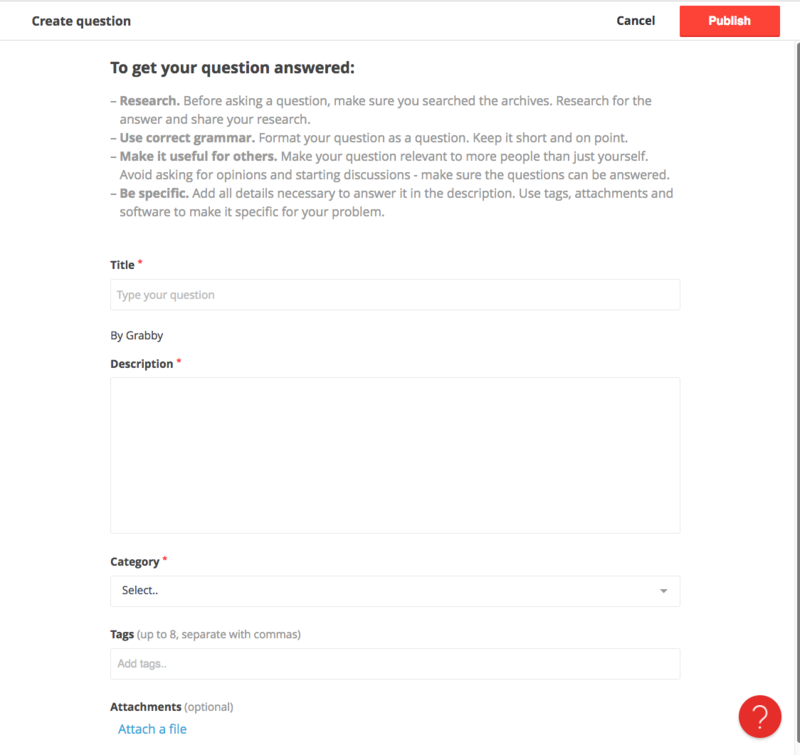 If it hasn't, click the red ' Ask a question' button. The best way to get your questions answered is to make sure you have a good description of exactly what you're having trouble figuring out. Enter your question, with as many details as possible and any screenshots that may be helpful as attachments. Additionally, we recommend that you choose your software type and add any relevant tags to help your question show up in the search. Your question may be changed or deleted if it is found inappropriate or isn't a good fit for the Community. What are some tips to get your question answered? There are some simple ways to word your question and format fields to make it easier for others to know what you're trying to ask. Be precise about your problem. Explain what you wish to achieve. Include the steps that you have taken in your description. Let other members know what you already tried that didn't work. Attach a CAD file or screenshots to help others understand your question. Often, seeing the question with the model makes identifying the issue much easier. Choose your tags, carefully. Make them something others would search. Good tags will help others find your question to answer it or benefit from it in the future. Write in clear, grammatically correct language. Use a spell checker, avoid all-caps and multiple question marks so members take your question seriously. If your question is about GrabCAD or getting help using the site, email problem-solvers@grabcad.com. This is a good example of a question that was asked with clear language, an appropriate amount of detail and it quickly resulted in a helpful tutorial from another member. Looking for help on a question you posted that never got an answer? Email problem-solvers@grabcad.com and we'll create a better version together.